A 16 minute high definition streaming video in which homeless sector workers discuss their experiences dealing with the deaths of homeless people. This resource is a product of a collaboration between Dr Richard Lakeman and Dr Evelyn Gordon of Dublin City University and numerous people who work in the homeless sector in Ireland including the initial research participants (quoted throughout, but whose identities remain anonymous), their employers, and advisory group who generously gifted their time (Ciaran Maquire, Erin Nugent, Jimmy Goulding, Grainne Lynch, Barbara Corcoran, Niamh Cullen, Susie O'Keeffe, Anthony Bagnall and Stephen Doyle). This project has been supported by the Homeless Agency and a grant from ESB ElectricAid Ireland. Mac Gabhann, L., Lakeman, R., McGowan, P., Parkinson, M., Redmond, M., Sibitz, I., et al. (2010). Hear my voice: The experience of discrimination of people with mental health problems in Ireland. Dublin: Dublin City University / Amnesty International. The PDF links to the final report published at DCU. This paper addresses the promise of evidence based or research informed mental health care and the reality of everyday practice. No amount of evidence seems to have a great impact on mental health policy and practice unless it is in accord with the dominant discourse of the time. Examples of approaches / projects with a positive evidence base which do or have struggled for recognition include:- psychotherapy, soteria, and open dialogue; Examples of approaches / projects with a poor or negative evidence base which persisted despite the evidence:- insulin Coma Therapy, pharmacological treatment of mild to moderate depression, and maintenance treatment in psychosis. This paper considers what shapes the dominant discourse Mental health service reform and culture and suggests that recovery ought to be a counter-cultural social movement. Lakeman, R. (2009, 4 - 5 November). What health professionals need to do to help people in mental health recovery: Consensus from experts by experience [Keynote]. Paper presented at the Making thriving a reality: Towards and beyond mental health recovery Brookfield Health Sciences Complex, University College Cork, Cork, Ireland. Mental health recovery has however been embraced by policy makers in many countries and has become something of a rallying for the current wave of mental health reform. It hints at something good, connoting positive medical outcomes (the person recovered from x), an objective healing process (the person is recovering from x), and a subjective process (I am in recovery). Unfortunately the term has become a catchphrase for all things good and this has attenuated its usefulness. Given the semantic slipperiness of the term it risks becoming a rhetorical device, a term to simply prefix to existing service descriptions or something for activists to demand but not describe how to deliver. If mental health recovery is to be a useful concept for the development of mental health services then what health professionals can do to support mental health recovery needs to be clarified. Some boundaries need to be marked around the concept so that practices which are incompatible with mental health recovery can also be highlighted and their place within reformed mental health services critically considered. The Irish Institute for Mental Health recovery commissioned this study to help clarify what competencies of mental health professionals are most supportive of mental health recovery. An panel of 31 'experts by experience' who identified as being in mental health recovery rated and commented on 103 competencies according to their usefulness in their own personal recovery (using what is called a Delphi methodology). All the top rated competencies emphasised mental health workers listening to and respecting the person’s view points, conveying a belief that recovery is possible and recognising, respecting and promoting the person’s resources and capacity for recovery. These competencies will be explored and the usefulness of competency statements for mental health recovery will be critically considered. Lakeman (2016) Paradoxes of Personal Responsibility in Mental Health Care. Issues in Mental Health Nursing. 37(12), 929-933. Personal responsibility is widely considered important in mental health recovery as well as in popular models of alcohol and drug treatment. Neo-liberal socio-political rhetoric around consumerism in health care often assumes that people are informed and responsible for their own choices and behaviour. In the mental health care context and especially in emergency or crisis settings, personal responsibility often raises particular paradoxes. People often present whose behaviour does not conform to the ideals of the responsible consumer; they may seek and/or be granted absolution from irresponsible behaviour. This paradox is explored and clinicians are urged to consider the context-bound nature of personal responsibility and how attributions of personal responsibility may conflict with policy and their own professional responsibilities to intervene to protect others. Browne, G., Hurley, J., & Lakeman, R. (2014). Mental health nursing: what difference does it make? Journal of Psychiatric and Mental Health Nursing, 21(6), 558-563. Public policy dictates that, consumers be at the centre of care at all levels of the delivery of mental health services. This has led to a body of research on consumers' views on satisfaction with the care they have received. However, while satisfaction is one measure of outcomes it does not address meaningful change in the consumer’s recovery. The literature informing this paper indicated that the consumer’s relationship with a nurse was valued and made a contribution to their recovery. There is little detail of how the mental health nurse made a difference to the consumers’ recovery except that it happens within a therapeutic relationship. Unfortunately the concept of 'therapeutic relationship’ is difficult to define and it is not clear, precisely, what it is within that relationship that makes a difference. This paper argues that while it is useful to investigate the therapeutic relationship and satisfaction with services it is also worth considering the consumer’s view on what is it about their interaction with a mental health nurse that made a difference to their recovery? The open dialogue approach to crisis intervention is an adaptation of the Finnish need-adapted approach to psychosis that stresses flexibility, rapid response to crisis, family-centred therapy meetings, and individual therapy. Open dialogue reflects a way of working with networks by encouraging dialogue between the treatment team, the individual and the wider social network. RICHARD LAKEMAN reviews the outcome studies and descriptive literature published in the English language associated with open dialogue in psychosis and considers the critical ingredients. Findings indicate that in small cohorts of people in Western Lapland the duration of untreated psychosis has been reduced. Most people achieve functional recovery with minimal use of neuroleptic medication, have few residual symptoms and are not in receipt of disability benefits at follow-up. Open dialogue practices have evolved to become part of the integrated service culture. While it is unclear whether the open dialogue components of the service package account for the outcomes achieved, the approach appears well-accepted and has a good philosophical fit with reform agendas to improve service user participation in care. Further large scale trials and naturalistic studies are warranted. Internalized stigma is a complicating feature in the treatment of schizophrenia spectrum disorders and considerably hinders the recovery process. The empowerment and recovery-oriented program of our day clinic might contribute to a reduction in internalized stigma. The aim of the study was to explore the influence of this day clinic program on internalized stigma and other subjectively important outcome measures such as quality of life and psychopathology. Data from two groups of patients had been collected twice, at baseline and after five weeks. The experimental group attended the day clinic treatment (N=40) and the control group waited for the day clinic treatment (N=40). The following significant differences between the two groups were found: Patients in day clinic treatment showed a reduction in internalized stigma while the control group showed a minimal increase (Cohen's d = 0.446). The experimental group as compared with the control group also showed a greater improvement in the quality of life domain psychological health (Cohen’s d = 0.6) and in overall psychopathology (Cohen’s d = 0.452). Interestingly, changes in internalized stigma and psychological quality of life were not associated with changes in psychopathology. Results are encouraging but have to be confirmed in a randomized design. Aims - Stigma and discrimination related to mental health problems impacts negatively on people's quality of life, help seeking behaviour and recovery trajectories. To date, the experience of discrimination by people with mental health problems has not been systematically explored in the republic of Ireland. This study aimed to explore the experience impact of discrimination as a consequence of being identified with a mental health problem. Methods - Transcripts of semi-structured interviews with 30 people about their experience of discrimination were subject to thematic analysis and presented in summary form. Results - People volunteered accounts of discrimination which clustered around employment, personal relationships, business and finance, and health care. Common experiences included being discounted or discredited, being mocked or shunned, and being inhibited or constrained by oneself and others. Conclusions - Qualitative research of this type may serve to illustrate the complexity of discrimination and the processes whereby stigma is internalised and may shape behaviour. Such an understanding may assist health practitioners reduce stigma, and identify and remediate the impact of discrimination. Lakeman, R. (2012). What is Good Mental Health Nursing? A Survey of Irish Nurses. Archives of Psychiatric Nursing, 26(3), 225-231. Lakeman, R. (2011). Leave Your Dignity, Identity, and Day Clothes at the Door: The Persistence of Pyjama Therapy in an Age of Recovery and Evidence-Based Practice. Issues in Mental Health Nursing, 32(7), 479-482. This paper considers the ethics, legality and compatibility with mental health recovery and evidence based practice of the enforced wearing of night attire by adults admitted to mental health inpatient facilities. This practice of 'pyjama therapy' continues to persist in some places and is clearly unethical, probably in breach of international human rights law, is antithetical to personal recovery and has no basis as effective in research. Health professionals are urged to consider how in less visible and obvious ways institutional practices, subjugating social dynamics, and demeaning rituals may be played out in encounters with service users. Sibitz, I., Scheutz, A., Lakeman, R., Schrank, B., Schaffer, M., & Amering, M. (2011) Impact of coercive measures on life stories: qualitative study. The British Journal of Psychiatry, 199(3), 239-244. Background How people integrate the experience of involuntary hospital admission and treatment into their life narrative has not been explored systematically. Aims To establish a typology of coercion perspectives and styles of integration into life stories. Method Transcripts of recorded interviews with 15 persons who had previously been involuntarily admitted to hospital were coded and analysed thematically using a modified grounded theory approach. Results With hindsight, people viewed the experience of involuntary hospital admission as a 'necessary emergency brake', an 'unnecessary overreaction' or a 'practice in need of improvement’. With respect to how they integrated the experience into their life narratives, participants viewed it as 'over and not to be recalled’, a 'life-changing experience’ or a 'motivation for political engagement’. Conclusions The participants’ diverse and differentiated perspectives on coercive measures and their different styles of integration suggest that people may come to accept coercive measures as necessary when confronted with danger to self or others. However, the implementation of coercion needs to be improved substantially to counteract possible long-term adverse effects. Cutcliffe, J., & Lakeman, R. (2010). Challenging Normative Orthodoxies in Depression: Huxley's Utopia or Dante's Inferno? Archives of Psychiatric Nursing, 24(2), 114-124. Although there appears to be a widespread consensus that depression is a ubiquitous human experience, definitions of depression, its prevalence, and how mental health services respond to it have changed significantly over time, particularly during recent decades. Epistemological limitations notwithstanding, it is now estimated that approximately 121 million people experience depression. At the same time, it should be acknowledged that the last two decades have seen the widespread acceptance of depression as a chemical imbalance and a massive corresponding increase in the prescription of antidepressants, most notably of selective serotonin reuptake inhibitors (SSRIs). However, questions have been raised about the effectiveness and iatrogenic side effects of antidepressants; related questions have also been asked about whose interests are served by the marketing and sales of these drugs. Accordingly, this article attempts to problematize the normative orthodoxy concerning depression and creates a "space" in which an alternative can be articulated and enacted. 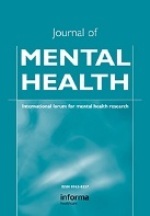 In so doing, the article finds that the search for a world where the automatic response to depression is a pharmacological intervention not only ignores the use of alternative efficacious treatment options but may also inhibit the persons' chance to explore the meaning of their experience and thus prevent people from individual growth and personal development. Interestingly, in worlds analogous to this pharmacologically induced depression-free state, such as utopias like that in Huxley's Brave New World, no "properly conditioned citizen" is depressed or suicidal. Yet, in the same Brave New World, no one is free to suffer, to be different, or crucially, to be independent. Lakeman, R. (2010). Mental health recovery competencies for mental health workers: A Delphi study. Journal of Mental Health, 19(1), 62-74. Background Mental health recovery is a concept that is now widely promoted. Lengthy sets of competency statements have been published to assist mental health workers become more recovery orientated in their work. However, there continues to be a lack of clarity around what constitutes recovery focused practice or which competencies are most helpful to assist people towards recovery. Aims To identify the most important or valued mental health worker competencies/practices that are supportive of mental health recovery. Method Experts by experience participated in an online Delphi survey to rate the importance of recovery competency statements, to reach consensus on the most important competencies and provide examples of specific practices that demonstrate competent practice. Result: The top rated competencies emphasized mental health workers listening to and respecting the person's view points, conveying a belief that recovery is possible and recognizing, respecting and promoting the person's resources and capacity for recovery. Conclusions These results serve to clarify some boundaries around recovery-focused practices and demark these from other examples of good mental health practice. Irving, K., & Lakeman, R. (2010). Reconciling mental health recovery with screening and early intervention in dementia care. International Journal of Mental Health Nursing, 19(6), 402-408. If early intervention in dementia care is to be enhanced, it is important to have a critical debate over how this should be realized. In this paper, we offer a synthesis of two approaches to care: mental health recovery and person-centred care, and apply them to early-stage dementia care. 'Person-centred care' has become a catchphrase for good dementia care. However, many people have not experienced improvements in care, and other lynch pin concepts, such as 'mental health recovery’, might have utility in driving reform. The similarities and differences between the two approaches are drawn out, and the difficulties of using the word 'recovery’ when discussing a degenerative disease are highlighted. 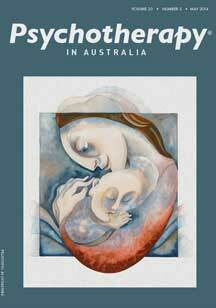 The implications of this discussion for early intervention are discussed. It could be seen that the two bodies of knowledge have much to offer each other, despite initial dissonance with the label of recovery in dementia care. Lakeman, R., Watts, M., & Howell, M. (2010). Growing leaders in mental health recovery. 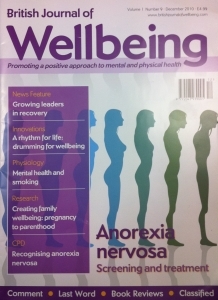 British Journal of Wellbeing, 1(9), 7-9. Mutual self-help groups have a long pedigree in assisting people in mental health recovery. One such group, GROW has quietly been providing a safe, supportive space for recovery for over fifty years and has gone beyond this role in terms of developing community leaders. Research has demonstrated that members assuming leadership roles has been pivotal in sustaining the organisation and that participating in mutual-help has many therapeutic benefits. This paper discusses how GROW develops leadership and outlines a new initiative to assist and recognise leaders in mental health recovery. Lakeman, R., Walsh, J., & McGowan, P. (2007). Service users, authority, power and protest: A call for renewed activism. Mental Health Practice, 11(4), 12-16. Recent years have seen an explosion of roles for service users within public mental health services and an elevation of some people to celebrity status, based in part on claims of having used mental health services. This paper proposes that there has come to be a hierarchy of service users in relation to perceived insight, power, authority and wealth that parallels and in part perpetuates the power hierarchy within psychiatry and the helping fields. This has not helped many people who use public mental health services. Service users and indeed all people with an interest in promoting mental health should be activists and continue to challenge authority, biomedical hegemony, coercion in mental health services and seek improvements and alternatives for those that use mental health services. This paper proposes that some practices and trends in mental health care may be considered as defensive responses to collective anxiety and fear. On a larger scale similar dynamics occur around fear of terrorism. Collectively and individually we are pulled by the defensive forces and dynamics associated with anxiety. This can in part explain the polarization that occurs around issues of definition and response to mental illness. Fear and anxiety push services towards simplistic viewpoints and futile practices. Pluralism, humility and the capacity to view things from the perspective of others may help in channelling anxiety productively. Lakeman, R. (2004). Standardized routine outcome measurement: Pot holes in the road to recovery. International Journal of Mental Health Nursing, 13, 210-215. Routine 'outcome measurement' is currently being introduced across Australian mental health services. This paper asserts that routine standardized outcome measurement in its current form can only provide a crude and narrow lens through which to witness recovery. It has only a limited capacity to capture the richness of people’s recovery journeys or provide information that can usefully inform care. Indeed, in its implementation nurses may be required to collude in practices or account for practice in ways which run counter to the personal recovery paradigm. Nurses should view a focus on outcomes as an opportunity for critical reflection as well as to seek ways to account for recovery stories in meaningful ways. Lakeman, R. (2001). Making sense of the voices. International Journal of Nursing Studies, 38(5), 523-531. Hearing voices is a common occurrence, and an experience of many people in psychiatric/mental health care. Nurses are challenged to provide care, which is empowering and helps people who hear voices. Nursing practice undertaken in partnership with the voice hearer and informed by a working explanatory model of hallucinations offers greater helping potential. This paper uses Slade's (1976. The British Journal of Social and Clinical Psychology 15, 415-423.) explanatory model as a framework for exploring interventions which may assist people in exerting some control over the experience and which might be used alongside pharmacological interventions. Principles and practical ideas for how nurses might assist people to cope with and make sense of the experience are explored. Lakeman, R. (1998). Beyond glass houses in the desert: a case for a mental health 'care' system. Journal of Psychiatric and Mental Health Nursing, 5(4), 319-328. A system of mental health care is not an unattainable goal, but it is a challenging one.. one which is necessary to pursue if we are serious about mental health. Lakeman, R. (2011). Drugs are not the only option [Editorial]. 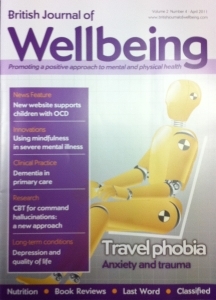 British Journal of Wellbeing, 2(4), 5. Lakeman, R. (2010). Epistemic injustice and the mental health service user [Editorial]. International Journal of Mental Health Nursing, 19(3), 151-153. This editorial explores particular forms of epistemic injustice which mental health service users may be exposed to. Mental health service provision throws up some particular problems in relation to developing and sustaining just services. Like the problems which people bring with them to mental health care, justice is multifaceted and multidimensional. Whilst often it may seem that addressing injustice is too big a problem for any but the most heroic of individuals, much injustice is underpinned by testimonial injustice of various kinds which we as health professionals are implicated in perpetuating. Mental health professionals need to reflect on the way we engage with service users, consider their testimony and construct problems. To do so will have far reaching implications for creating just institutions and ultimately just societies. Lakeman, R. (2013, 16 March). 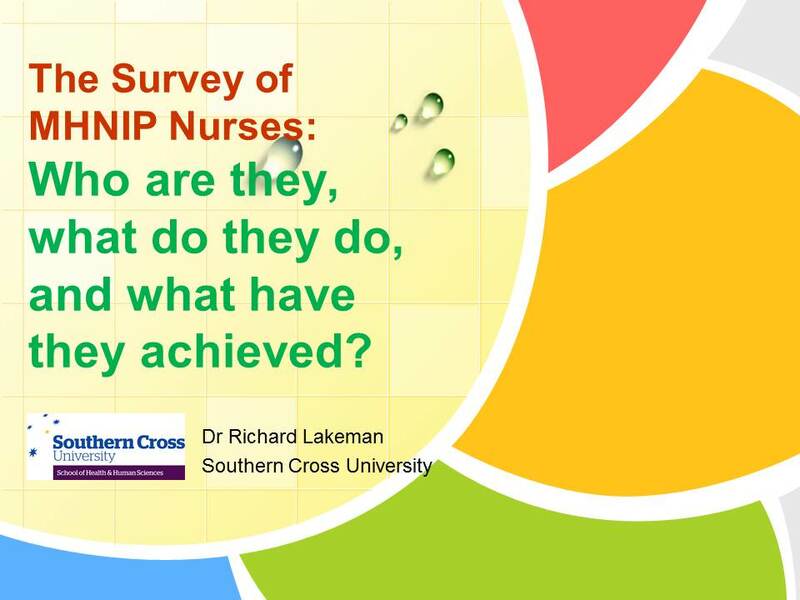 The survey of MHNIP Nurses: Who are they, what do they do, and what have they achieved? Paper presented at the Primary Mental Health Care: Working Together for a Better Future, Rydges Lakeside, Canberra. This presentation presents selected findings from the 2012 survey of Mental Health Nurses working within the Mental Health Incentive Programme (MHNIP). This survey provides a profile of a workforce that is exceptionally well educated and experienced. It paints a picture of nurses working collaboratively to deliver specialist services to under or poorly served populations in primary care settings. In particular the program has enabled the flexible delivery of forms of psychotherapy, recovery focused care, improved case co-ordination and a more acceptable interface between the individual and other branches of the health and welfare system. What is mental health nursing? What if anything distinguishes it from psychiatric nursing and what constitutes good rather than merely good enough mental health nursing? Text books on nursing rarely address these questions and tend to treat psychiatric, mental health and various combinations thereof as synonymous in their titles and in discussion. Surely, however, what mental health nursing is and what mental health nurses do, goes to the very heart of professional identity? This project sought to discover what 'good mental health nursing' is as described by expert practitioners. Thirty members of the Irish Institute of Mental Health Nursing completed an on-line survey and their responses were subject to a content analysis whereby all content was captured in a broad definition. Mental health nursing was described as a professional, client centred, goal directed, evidenced based activity focused on the growth, development and recovery of people with complex mental health needs. It involves caring, empathic, insightful and respectful nurses using interpersonal skills to draw upon and develop the personal resources of individuals and to facilitate change in partnership with the individual and in collaboration with friends, family and the health care team. Lakeman, R. (2010, 18-19 June). Why it may be wrong to tell people what is wrong with them and what one ought to do instead Paper presented at the The North Queensland Regional Branch of the ACMHN, 11th Annual Tropical Symposium, All Seasons - Magnetic Island. A common understanding in mental health care is that good medicine (and arguably good allied health, nursing and social care) is founded on a thorough assessment, leading to a diagnosis which then dictates or at least informs what kind of treatment or care ought to be provided. However, this simple heuristic is problematic in psychiatry. Psychiatric diagnosis are essentially descriptive labels which have utility for researchers and health professionals in terms of communication, but they don't presume anything (although we often assume much) about aetiology or prognosis and therefore are a poor foundation for treatment and care. Much has also been made of the damaging, stigmatising effects of being psychiatrically labelled and engulfed in a patient role. Nevertheless a commitment to the ethical principle of veracity and to evidence based practices such as psycho-education seem to require that service users be informed of and educated about their diagnosis. This presentation considers a different problem associated with telling people what is wrong with them. That is, naively following the assessment-diagnosis-treatment heuristic may perpetuate forms of epistemic injustice: Diminishing the person as an informant and person with capacities (a grievous harm in it-self) but it may also prematurely foreclose on opportunities to make sense of experience and discover the best solutions to problems. Whether we share a psychiatric diagnosis or not with service users (and I'm not suggesting that communicating diagnosis is inherently wrong) it is crucially important for the wellbeing and recovery of service users that diagnosis are offered tentatively and that both they and health professionals engage in an ongoing process of exploration and discovery. Lakeman, R. (2010, 8-10 Sep). The quest for the Holy Grail: Searching for good mental health nursing. Paper presented at the Nordic Conference of Mental Health Nursing: "The Role of Nursing in the Process of Recovery: Global Perspectives", Helsinki, Finland. Once upon a time psychiatric nurses worked in psychiatric hospitals, providing most of the direct care to patients and carrying out delegated medical tasks and whatever else was needed. Nowadays the division of labour is rarely so simple with nurses and indeed many allied health professionals assuming a diversity of specialised and often similar roles in a variety of settings. Further muddying the waters are movements such as 'evidence based practice' and 'mental health recovery' that traverse interdisciplinary boundaries and sometimes conflict with the everyday practices that some nurses engage in. Defining what mental health nursing is has never been harder. Determining what good or 'good enough' mental health nursing might be considered similar to the quest for the Holy Grail. Scholars (knights and heroes) have looked to philosophy, and grand theory to determine what mental health nursing is. This paper reports on a survey of members of the Irish Institute of Mental Health Nursing and their views on good mental health nursing. It then considers how these views might inform the quest and what might distinguish the Holy Grail from other artefacts. Lakeman, R. (2010, 8-10 Sep). Mental Health Nursing and Restorative Epistemic Justice. Paper presented at the Nordic Conference of Mental Health Nursing: "The Role of Nursing in the Process of Recovery: Global Perspectives", Helsinki, Finland. 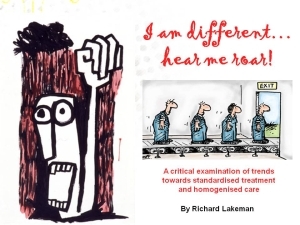 The stigmatising, dehumanising and destructive side of institutional care (including psychiatric care) has been the subject of extensive and sustained critique for many years. This has fuelled a drive towards reform in systems of psychiatric care and a renegotiation of the social contract between health professionals and service users. Nevertheless, people who are presumed to have a mental illness continue to suffer many indignities and injustices at the hands of those that purport to care for them. 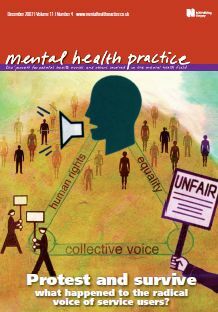 This paper draws on the worker of Fricker (2007) and outlines two forms of epistemic injustice and how they may apply in everyday mental health care and impede genuine and positive mental health reform. The first 'testimonial injustice' occurs when a people's testimony is given reduced credibility, thus diminishing them as an informant or giver of knowledge. The second which is elaborated in more detail is 'hermeneutical injustice', or a social situation in which a collective hermeneutical gap prevents a person from making sense of an experience which is strongly in their interests to render intelligible. The paper then considers how nurses can engage in mental health care that embodies and promotes justice. Lakeman, R. (2010, 10-11 November). Mental Health at the Movies: Incapacity, injustice and Entertainment Paper presented at the Critical positions on and beyond recovery: The Dr Michael Corry Memorial Conference, University College Cork. The impact that movies have had on the public perceptions of madness cannot be underestimated. Iconic movies such as 'One Flew Over the Cuckoos Nest' captured the zeitgeist of the time, both reflecting and fomenting a healthy disrespect for authority and a suspiciousness of total institutions. The way madness is represented in the movies also in part reflects our views and fears of madness. The characters can evoke our sympathy or provoke horror. Movies can play a role in reinforcing stigma, and perpetuating falsehoods, but conversely they may normalise some experiences, evoke empathy, spur people to action and capture truths of how mental distress and problems of living are conceived. This presentation invites people to the movies, to view some Oscar winning and B grade performances which illustrate how conceptions of mental health have changed. At a time when incapacity legislation is being debated these snippets can be informative as to the extent to which people's capacity is under-estimated, the shifting nature of psychiatric diagnosis, and gaps in our collective social imagination perpetuate various forms of injustice. They can also be fascinating and fun! Walsh, J., Lakeman, R., & McGowan, P. (2009, 15-17 April). Outside in to inside out: The assimilation and attenuation of the service user movement. Paper presented at the Alternative futures and popular protest (14th International Conference), Manchester Metropolitan University. Here we extrapolate and expand on arguments made in a published paper written by the three speakers (Lakeman, McGowan and Walsh, 2007). During the 1960s and 1970s the mental health service user movement was united with other human rights movements associated with the emancipation of women, racial equality and the general promotion of liberty. Public demand to reform the care and treatment of patients was underpinned by principles of universal human rights and equality. The public gauze turned towards mental hospitals/asylums and other social institutions (outside-in) with an increasingly critical eye. Over time partnerships and collaborations between service users and public health bodies have been established whereby change is promoted from within services (inside-out) and this apparent collegial/collaboration between service users/staff lends a veneer of respectability to mental health services. The hard edge of the service user movement has been 'softened' as an ever increasing number of activists have moved from the streets into the board room (often into paid positions). Barker and Buchannan-Barker (2001) suggest that a consequence of this might be that service users have become ineffectual in their attempts to instigate change as they have become assimilated into a system they once resisted. Campbell (2001) suggests that service users lost their sense of citizenship during this period of transition and for many service users their social position, prospects, and health outcomes are unimproved since the era of the asylum. We point out that a hierarchy of power and influence has evolved between the 'professional’ and ordinary service user that parallels that of the health 'professional’ and service user. We believe that the power to resist and instigate change has been weakened and that there remains a place for public protest independent of services and would-be gurus. Barker P, Buchanan-Barker P (2003) Death by assimilation. Asylum. 13, 3, 10-12. Campbell, P (2001) The role of users of psychiatric services in service development - influence not power. Psychiatric Bulletin. 25 (3) 87-88. Lakeman, R. (2007, 10-12 September). 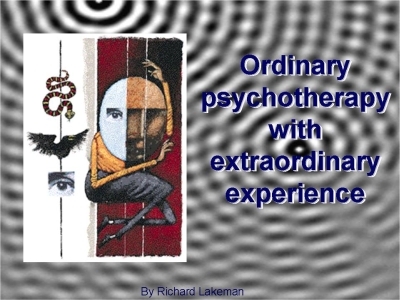 Ordinary psychotherapy with extraordinary experience (Workshop). Paper presented at the Thinking, Feeling, Being: Critical Perspectives and Creative Engagement in Psychosocial Health, Dublin City University, Ireland. People who may be considered 'psychotic', 'disordered' or 'deluded' are often excluded from formal psychotherapy. Nevertheless, the everyday interactions between people can be helpful and therapeutic. This workshop focuses on introducing and practicing a basic model of empathic communication at the supportive end of the psychotherapeutic continuum that might be employed when people express bizarre or contrary ideas. The discourses that compete to shape mental health service provision may broadly be divided into those that emphasise individual difference, diversity and mystery and those that emphasis sameness or homogeneity and predictability. Practices such as case-mix determination, standardised outcome measurement, and the standardisation of treatment are vigorously promoted within mental health services (see: Australian Mental Health Outcomes and Classification Network, 2004). The arguments for these are seductive. They promise certainty, meet managerial demands for more and better information, cement the role of health professional as expert and facilitate a certain kind of evidenced based practice. This paper raises questions about the compatibility of these practices and their underlying assumptions with the promotion of personal recovery, the notion of people and groups as complex, therapy as a process of discovery, and the stance of the health professional as one of humility. Discourse is created and perpetuated by those who have the power and means of communication (Foucalt, 1973). This paper argues that logic, reason and 'evidence' alone will not derail current trends towards managed and homogenised care. Real change may only happen when consumers, carers and compassionate health professionals present a loud enough counter-case and are heard and respected. Lakeman, R. (2003, 16-18 May). 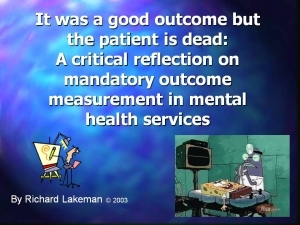 It was a good outcome but the patient is dead: A critical reflection on mandatory outcome measurement in mental health services. Paper presented at the North Queensland Sub-branch of the Australian and New Zealand College of Mental Health Nurses 5th Annual Tropical Symposium, Holiday Inn, Townsville, AU. Lakeman, R. (2000, 3-7 September). Coping with voices: An explanatory pilot study. Paper presented at the Mental Health Nurses for a Changing World: Not just Surviving,, Broadbeach, Queensland. Hearing voices is an experience common to many people in psychiatric care but meaningful help in coping with the experience is less common. This paper presents a model of coping behaviour specific to hearing voices. It proposes that coping with voices includes hallucinatory control, emotion and problem focused coping and is a function of context, the features of voices, and beliefs about voices. Results from a pilot study exploring coping with voices are presented. A questionnaire which combined previously tested scales including voice topography (Hustig & Häfner, 1990), beliefs about voices (Chadwick & Birchwood, 1995a) and general coping behaviour (Carver, Weintraub & Sheier, 1989) was administered to 10 consumers of a mental health service with a recent history of hearing voices. The instruments were found to be reliable and easy to complete. Results are discussed in relation to the theoretical framework and suggest that people engage in a wide range of purposeful coping behaviour in response to voices that do not fit comfortably into arbitrary coping categories. Consideration of 'coping with' rather than 'amelioration' of voices ought to be a key focus of nursing, and the model of coping presented may be useful in making sense of, and facilitating coping behaviour. Monrad, G., & Lakeman, R. (1999, 29 November - 1 December). Caring for others requires caring for each other: Conversations about being a mental health professional with mental illness. Paper presented at the 'Realising Recovery' - Best Practice in mental health services., Plaza International, Wellington. It is our belief, that the experience of emotional or psychological distress, or mental illness can lead to a much greater positive outcome than merely recovering what has been lost… It can lead to discovery… discovering something about what it means to be person. Personal discovery we believe is an important component of recovery and being as well as being an effective helper. Lakeman, R. (2008). Ethics and nursing. In P. Barker (Ed. ), Psychiatric and mental health nursing: The craft of caring (2nd ed., pp. 607-617). London: Arnold. Keen, T., & Lakeman, R. (2008). Collaboration with patients and families. In P. Barker (Ed. 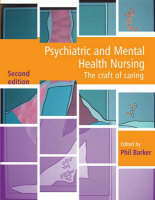 ), Psychiatric and mental health nursing: The craft of caring (2nd ed., pp. 149-161). London: Arnold.